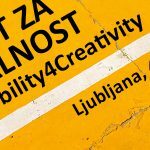 Motovila Institute (CED Slovenia) organizes a two-day seminar in cooperation with Creative Europe Desk Hungary, Cankarjev dom, Amnesty International Slovenia and with the support of the Balassi Institute. The programme is focusing on production and promotion of Hungarian documentary films with human rights topics. 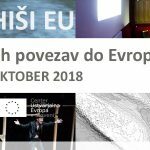 Moreover, head of Creative Europe Desk Hungary will present the experience of Hungarian producers in the MEDIA sub-programme as well as opportunities for Hungarian-Slovene co-productions. European Capital of Culture (ECOC) is undoubtedly among the best-known measures supported by the EU Creative Europe programme. Slovenia will be hosting the title again in 2025, and the selection procedure is set to begin in 2019. 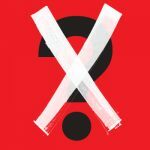 Creating a convincing and innovative communication strategy for a creative project, especially when it is shaped in cooperation with partners from abroad and for an international audience, is a demanding task – the environment dominated by an information overdose has never been so competitive in struggling for public attention. Motovila (CED Slovenia), in cooperation with Centre for creativity, Museum of Architecture and Design, will be holding the international conference Beyond the Cultural Model. Eminent guest speakers from the United Kingdom, Sweden and Spain (Catalonia) will present various theoretical and practical approaches in the development of business models in culture. 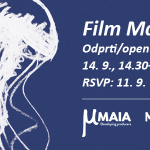 Maia Workshops in Slovenia: Open seminar on film marketing with MAIA tutor for digital marketing, Daniel Díaz. 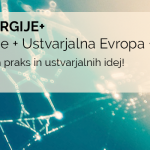 Friday, 14 September, Avditorij Portorož, Green Hall, 14.30–18.00. 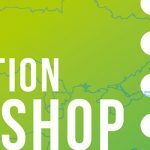 CEE Animation Workshop is bringing together independent animated film producers from eighteen countries and showing producers from the Central and Eastern European (CEE) region. The event will be held from 2 to 6 Dec., 2017 at the Animateka International Animated Film Festival (4–10 Dec. 2017). Motovila Institute is one of the organizers of the CEE Animation Workshop. 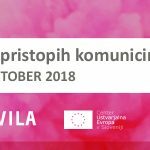 On September 26, 2017, Motovila is hosting in Ljubljana Tomas Ramanauskas and Kristupas Sabolius to hold a workshop, designed specifically for cultural organisations to improve project-creating skills. Creative Europe MEDIA talk on possibilities for successful sales, distribution and placement of Slovenian films in Europe with international sales agents from Wide (France) and Slingshot Films (Italy), organized by Motovila (Creative Europe Desk Slovenia) in the framework of the Festival of Slovenian Film. Study visit to Slovenia hosted by the Motovila Institute, 10–14 April 2017. Panel discussion with publishers from Slovenia, Bulgaria, Croatia, Macedonia and Hungary. 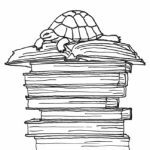 Slovenian Book Fair, Cankarjev dom Ljubljana (Hall M 3–4).